Today I deliberately choose to submit myself fully to God as He has made Himself known to me through the Holy Scripture, which I honestly accept as the only inspired, infallible, authoritative standard for all life and practice. In this day I will not judge God, His work, myself, or others on the basis of feeling or circumstances. 1. I recognize by faith that the triune God is worthy of all honor, praise, and worship as the Creator, sustainer, and end of all things. 2. I recognize by faith that God loved me and chose me in Jesus Christ before time began (Eph.1: 1-7). 3. 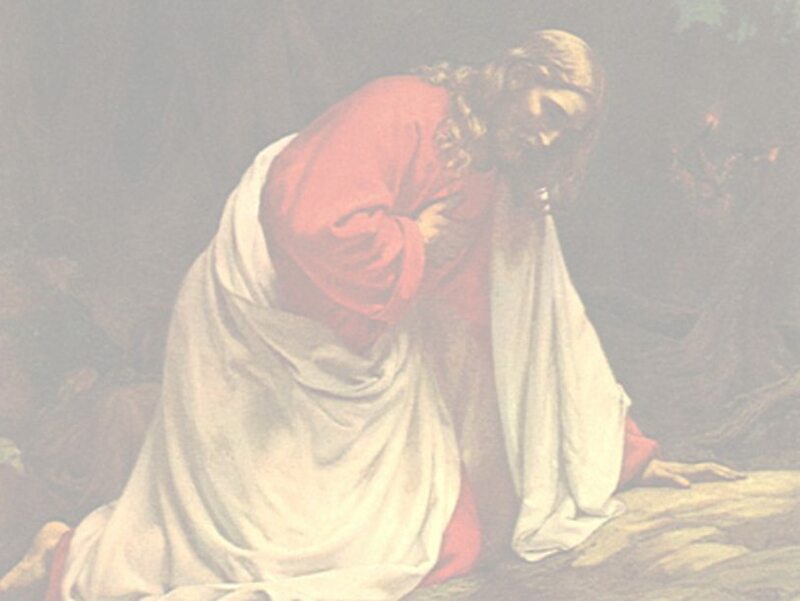 I recognize by faith that God has proven His love to me in sending His Son to die in my place, in whom every provision has already been made for my past, present, and future needs through His representative work, and that I have been quickened, raised, seated with Jesus Christ in the heavenlies, and anointed with the Holy Spirit (Rom. 5:6-11; 8:28-39;Phil. 1:6; 4:6-7,13,19; Eph. 1:3; 2:5-6; Act6s 2:1-4,33). 4. I recognize by faith that God has accepted me since I have received Jesus Christ as my Lord and Savior (John 1:12; Eph. 1:6); that He has forgiven me (Eph. 1:7); adopted me into His family, assuming every responsibility for me (John 17:11,17;Eph. 1:5; Phil. 1:6); given me eternal life (John 3:16; 1 John 5:9-13); applied the perfect righteousness of Christ to me so that I am now justified (Rom. 5:1; 8:3-4; 10:4); made me complete in Christ (Col. 2:10); and offers Himself to me as my daily sufficiency through prayer and the decisions of faith (1 Cor. 1:30; Col. 1:27; Gal.2:20; John 14: 13-14; Matt. 21:22; Rom.6:1-19; Heb. 4:1-3,11). 5. I recognize by faith that the Holy Spirit has baptized me into the body of Christ (1 Cor.12: 13); sealed me (Eph. 1:13-14); anointed me for life and service (Acts 1:8; John7: 37-39); seeks to lead me into a deeper walk with Jesus Christ (John 14:16-18; 15:26-27; 16:13-15; Rom.8: 11-16); and to fill my life with Himself (Eph. 5:18). 6. I recognize by faith that only God can deal with sin and only God can produce holiness of life. I confess that in my salvation my part was only to receive Him and that He dealt with my sin and saved me. Now I confess that in order to live a holy life, I can only surrender to His will and receive Him as my sanctification; trusting Him to do whatever may be necessary in my life, without and within, so I may be enabled to live today in purity, freedom, rest, and power for His glory (John 1:12; 1Cor. 1:30; 2Cor. 9:8: Gal. 2:20; Heb. 4:9; 1 John5: 4; Jude 24). Having confessed that God is worthy of all praise, that the Scriptures are the only authoritative standard, that only God can deal with sin and produce holiness of life, I again recognize my total dependence upon Him and submission to Him. I accept the truth that praying in faith is absolutely necessary for the realization of the will and grace of God in my daily life (1 John 5:14-15; James 2:6; 4:2-3; 5:16-18; Phil. 4:6-7; Heb. 4:1-13; 11:6, 25-28). 1. For this day (Heb. 3:6, 13, 15; 4:7) I make the decision of faith to surrender wholly to the authority of God as He has revealed Himself in the Scripture – to obey Him. I confess my sin, face the sinful reality of my old nature, and deliberately choose to walk in the light, in step with Christ, throughout the hours of this day (Rom. 6:16-20; Phil. 2:12-13; 1 John 1:7, 9). 2. For this day I make the decision of faith to surrender wholly to the authority of God as revealed in the Scripture – to believe Him. I accept only his Word as final authority, I now believe that since I have confessed my sin He has forgiven and cleansed me (1 John 1:9). I accept at full value His Word of promise to be my sufficiency and rest, and will conduct myself accordingly (Exod.33: 1; 1Cor. 1:30; 2Cor. 9:8; Phil. 4:19). 3. For this day I make the decision of faith to recognize that God has made every provision so that I may fulfill His will and calling. Therefore, I will not make any excuse for my sin and failure (1Thess. 5:24). 4. For this day I make the decision of faith deliberately to receive from God that provision which He has made for me. I renounce all self-effort to live the Christian life and to perform God’s service; renounce all sinful praying which asks God to change circumstances and people so that I may be more spiritual; renounce all drawing back from the work of the Holy Spirit within and the call of God without; and renounce all non biblical motives, goals, and activities which serve my sinful pride. a. I now sincerely receive Jesus Christ as my sanctification, particularly as my cleansing from the old nature, and ask the Holy Spirit to apply to me the work of Christ accomplished for me in the Crucifixion. In cooperation with and dependence upon Him, I obey the command to “put off the old man” ( Rom. 6:1-14; 1Cor. 1:30; Gal. 6:14; Eph. 4:22). b. I now sincerely receive Jesus Christ as my sanctification, particularly as my enablement moment by moment to live above sin, and ask the Holy Spirit to apply to me the work of the Resurrection so that I may walk in newness of life. I confess that only God can deal with my sin and only God can produce holiness and the fruit of the Spirit in my life. In cooperation with and dependence upon Him, I obey the command to “put on the new man” ( Rom. 6:1-4; Eph. 4:24). c. I now sincerely receive Jesus Christ as my deliverance from Satan and take my position with Him in the heavenlies, asking the Holy Spirit to apply to me the work of the Ascension. In His name I submit myself to God and stand against all of Satan’s influence and subtlety. In cooperation with and dependence upon God, I obey the command to “resist the devil” (Eph. 1:2-23; 2:5; 5:27; 6:10-18; Col. 1:13; Heb. 2:14-15; James 4:7; 1 Pet. 3:22; 5:8-9). d. I now sincerely receive the Holy Spirit as my anointing for every aspect of life and service for today. I fully open my life to Him to fill me afresh in obedience to the command to “ be filled with the Holy Spirit” (Eph. 5:18; John 7:37-39; 14:16-17; 15:26-27; 16:7-15; Acts 1:8). and sufficiency (1 Cor. 10:13).